The aim of this chapter is to provide an introduction to the current methods available for the analysis of plant material containing sesquiterpene lactones, delineate the most widely used extraction methods and provide a brief review of the literature on the subject. 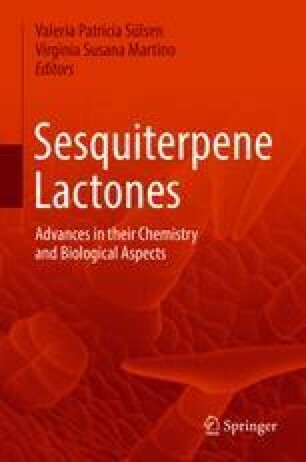 A general classification of sesquiterpene lactones, based on their carbocyclic skeletons, is given. The physicochemical properties and methods most commonly used for its extraction from the plant material, including more recent techniques such as supercritical fluid extraction, are analysed. Furthermore, visualization reagents for thin layer chromatography and isolation techniques, using different chromatographic methods, are also described.